Written by Marina Pape on June 25, 2018 Blog, Customer stories. 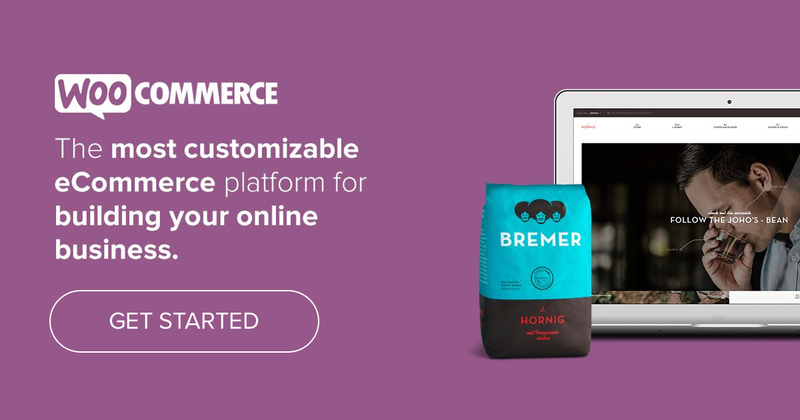 WooCommerce is one of a number of eCommerce platforms you could choose to build a store. Why WooCommerce? Our verified WooExperts will tell you it’s for the customizability, flexibility, and love of open source. Neuralab are one of our WooExperts. I chatted with Neuralab CEO Krešimir Končić about building WooCommerce enterprise sites from Zagreb to New York City, tips for winning enterprise clients, tool recommendations for remote collaboration, and some of their recent inspiring projects. Neuralab “makes digital easy.” Tell us how you got started and what makes your agency unique. We started as a couple of college kids who wanted to work on neural networks, hence the name and our software background. We knew way back in 2008 that AI was hot. Bruno and Igor, my friends and business partners, had a design and video background, so together we joined forces, added software development, and started making custom web applications. This has been our core business for ten years now. We integrate design into continuous development and this is what separates us from other eCommerce vendors. If you take a walk around our HQ, you will see designers and developers talking with clients at every step of the process. In addition, we educate our clients that the real work starts when an eCommerce platform launches — whether it’s a redesign of non-performing sections or Conversion Rate Optimization (CRO). Learn.Practice.Communicate is a learning platform based on WooCommerce, Memberships, LearnDash, Subscriptions, and using a completely custom theme. Read more. You work out of both Croatia and New York — what does that look like, and what tools do you recommend? All communication is asynchronous and remote. We use G Suite a lot, including Hangouts, video calls, and Google Drive. Our main “correspondence tool” for clients is Trello. It’s formed like a product roadmap, and each application has its own board. Neuralab’s philosophy is based on the Japanese Kanban system, where crew and clients cherry-pick the next function to implement. We tried waterfall and scrum methodologies, but the Kanban / Trello combination stuck. Agreed-upon tasks are then transferred to Jira for internal technical discussion. We also use Harvest time tracking with Jira to analyze how much time we invest in tasks/projects/clients. Local development environment is set up using Scotch Box, a Vagrant-powered LAMP/LEMP stack running WordPress and our internally built starter theme. Our programmers mostly work with the Atom code editor, and we utilize Bitbucket with DeployBot for deployment to our staging or production servers. We control and monitor all production layers — servers, back end, front end, design, and content — so there’s no need for speedy meetings and urgent fixes, meaning there’s no difference if the client is from Hawaii or New York. What are the top three priorities for enterprise clients? Their biggest concern is content editing and how to structure their product information, articles, and multimedia “for the web”. They presume that a large part of this work is on their hands, and worry that we will swamp them with content-related requests. We educate clients and conduct WP Admin workshops to show them how easy it is to manage all sorts of content. We also talk about importing content, formatting for good SEO, media library handling, etc. The second concern is integration. Enterprise clients have massive amounts of moving IT parts, so we need to understand their CRM, ERP, WMS, or any other crucial IT system and its role in the eCommerce platform. We worked with a lot of providers and we have our own custom plugins for Salesforce, WSPay, Zapier, MailChimp, AgentCASH, SalesBinder, Mandrill integrations, and we constantly work with building custom integration for all new systems. If you’re looking for your own integrations for these and other services: browse the WooCommerce.com marketplace. Previously, enterprise IT departments were concerned about hosting and site speed, but now these concerns have shifted towards user privacy, data shielding, GDPR, etc. Right now we’re working on integrating ISO 27001 and polishing our own security guides, as this is connected to how we handle integrations with third party systems. Vendor lock-in is the third concern for most of our enterprise clients. In many cases their fingers got burned with proprietary platforms so they want to be in charge of their online sales, and basically own all of their eCommerce data. We educate them that WordPress with WooCommerce is an open source ecosystem with a large number of hosting, development, and technology partners, and is easily transferable. Enterprises naturally want to avoid a vendor lock-in situation where their eCommerce future depends on a single source of authority. What do you enjoy about WooCommerce? What sets it apart is the ability to produce custom content architecture (CPT+ACF), web design, UX, and integrations. The large ecosystem, documentation, code samples and Woo’s huge community bolster production and cooperation between developers, designers, and content makers. Enterprises can really tap into that power and we’re seeing this gain unprecedented momentum in our industry. 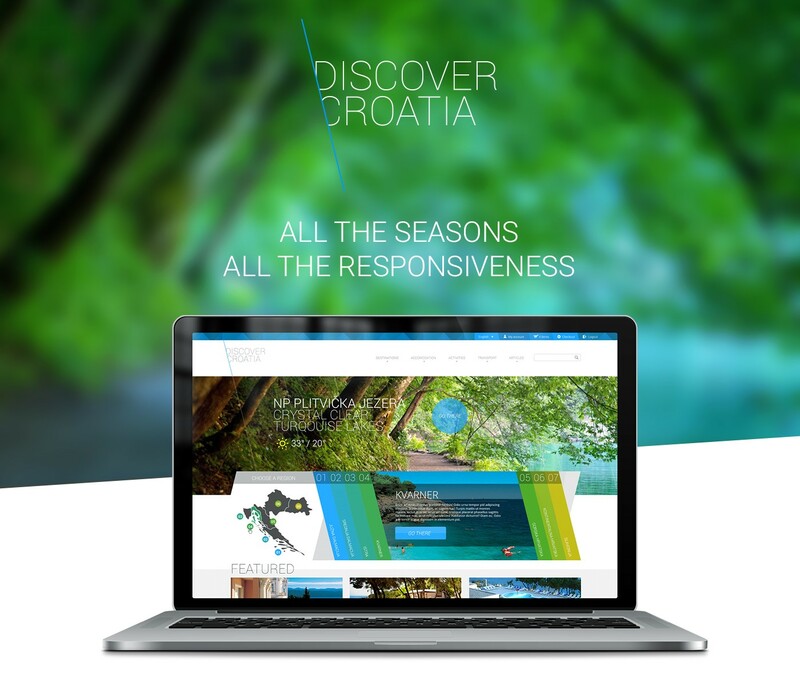 Discover Croatia was one of the first complex projects Neuralab built on top of Woo. It utilized a booking engine, memberships, and subscriptions. The entire brand, visual style, and interactivity were built to support ordering of the hotels, apartments, and tourist attractions. Learn more. You focus specifically on enterprise clients – how do you acquire new clients? Our ever-moving goal is seeking bigger challenges and building complex applications. This is our reasoning to pursue enterprise-level clients as we can do all sorts of interactions with them. Our main marketing efforts are events, workshops, conferences where we either sponsor, share knowledge, or conduct talks and meet new people. On top of that, we place a lot of energy into unique content like blogs, case studies, writing for media, giving interviews, and my favorite: coding and sharing new plugins. OTRUSA is a Brooklyn-based company that sells industrial tires to other organizations, business and government. This is a true B2B WooCommerce platform with purchase orders, membership level discounts, and content viewing rules. Learn more. What advice do you have for CTOs looking to build an online store or re-platform? Invest in content heavily! I know this sounds like typical jargon, but we really saw this as an issue for most of our clients. Content is hard. High quality content that converts is even harder. While we can help clients with building their eCommerce platform, their content, tone, and style resonate throughout the whole application. Dedicate only one product owner. Give feedback to designers in one business day. Don’t be cheap on customer support (assign live chat operators, write FAQs, knowledge bases, self-service articles). Audit your shipping and payment gateways partners frequently. We had one client who changed shipping partners every three months due to quality issues. When it comes to service providers or hosting hardware, what’s your approach to ensuring uptime and site speed? I don’t really remember any major downtimes over the past ten years as we’ve always chosen stable hosting platforms. Rackspace and their Cloud Sites cluster was our first choice in hosting partner for Apache-based projects. We had a couple of hiccups when they sold this division to Liquid Web Hosting as it required the migration of the whole stack from Dallas to Phoenix! They are making a concerted effort to focus on their WordPress and WooCommerce offering, especially as Chris Lema is spearheading this division. Our partner for larger Woo projects is Kinsta, as developers tend to deploy on nginx and Google Cloud Platform. This team is truly awesome as they solely focus on WordPress so for us, this is a true tech-partnership where they put in most of the legwork. We monitor our stack through StatusCake, Rollbar, and New Relic. Each of these monitoring tools are connected to Slack, which in turn is connected to our entire development crew. In reality, hosting platforms are now stable businesses, so downtimes are fairly rare. How do you customize WooCommerce? We produce custom web design, UX, UI, and theme for every client. As for the back end part, we usually push a lot of custom code and custom plugins if clients need them. Sometimes, we even produce our own custom integrations like SalesForce for Woo. WooCommerce Memberships is installed on basically all of our projects, and we use WooCommerce Subscriptions on our own product for enterprise WordPress management service, wp.watch. 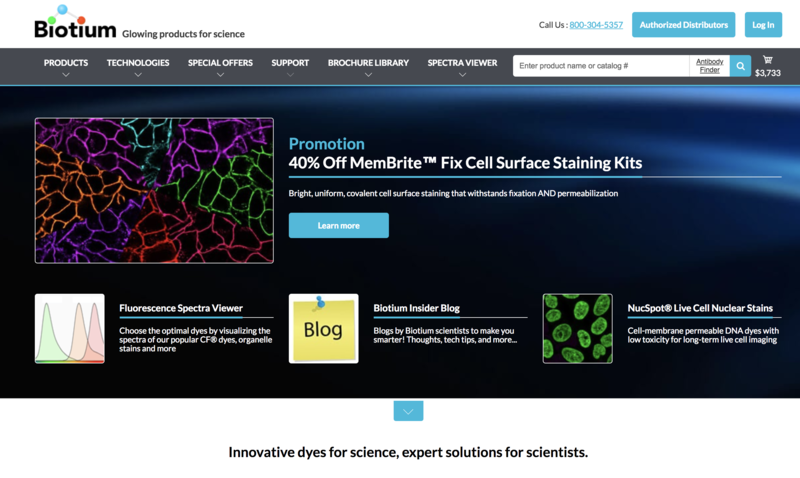 Biotium is a biotechnology company specializing in life science research. We have been managing their eCommerce platform for several years and have currently redesigned their third iteration of the web app. Finally, what excites you about digital commerce and what’s next for Neuralab? Modern browsers support all sorts of crazy interactions, and now we can fully build a web experience that behaves like a native desktop, iPhone, or Android app. This state of Progressive Web Apps really excites me, and we’re constantly experimenting. Our team also played around with chatbots (Conversational eCommerce) and interactive 3D visualizations for the web, but I think PWAs are a no-BS approach to utilizing modern technologies to help the end-user. This is where Neuralab is heading. Our thanks to Krešimir for taking the time on this interview. Follow @neuralab for the latest news on their excellent work with WooCommerce. Amazing Article. Amazing tips for conversion optimization I have been doing a lot of things this day. Thanks for sharing amazing tips. Great article. Thumbs up for our Croats and Neuralab, keep up the good work! Hello I am really enjoying good after installing Woo commerce in my website. Indeed great plugin. Can we use this for a gaming website which deals with games and its accessories ??? You sure could! Digital downloads is a product type that is built-in to WooCommerce core. Great to see Woo being presented as a solution to the enterprise client, nice one Neura Lab!